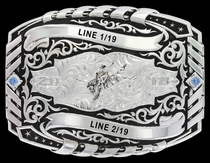 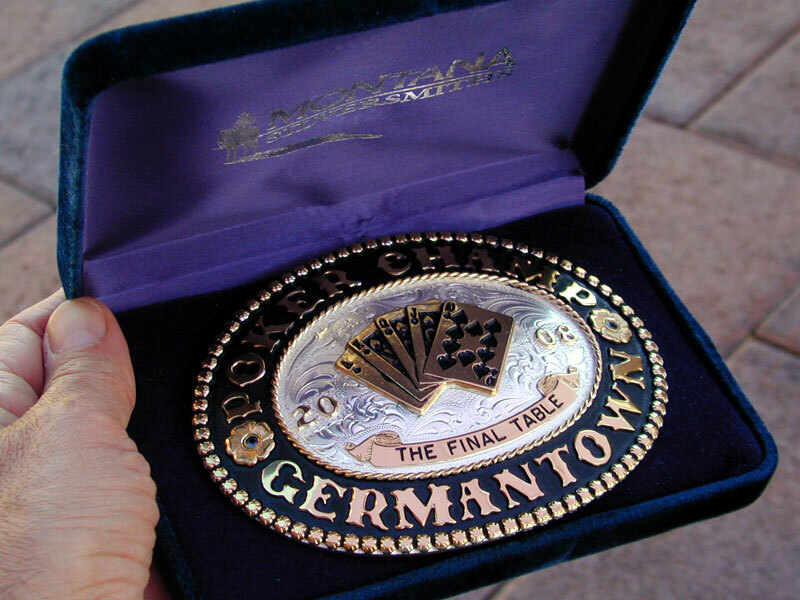 Looking for a high quality belt buckle? 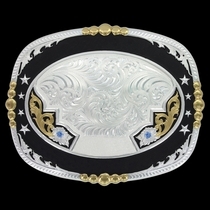 Montana Silversmiths' handsome #26324 silver and gold, rectangular trophy buckles are everything you’ve been searching for. 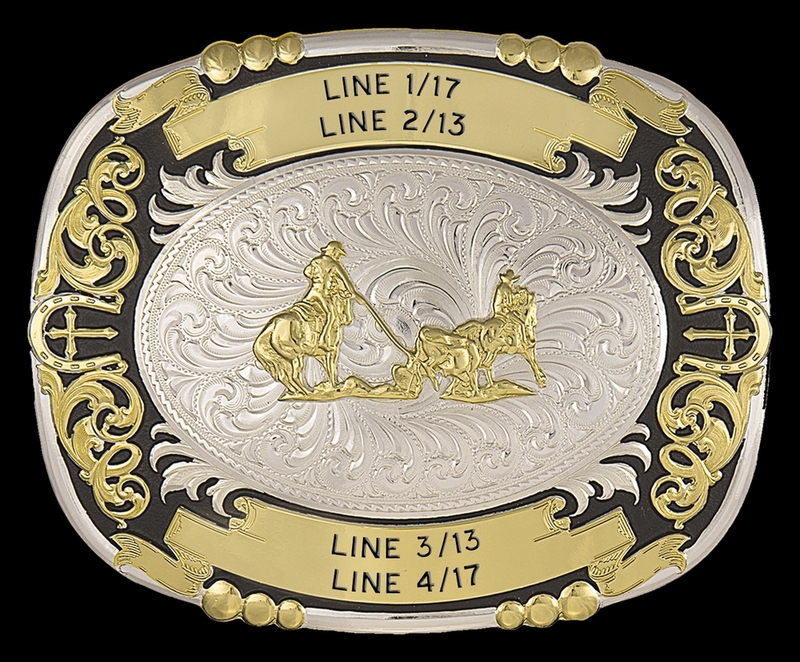 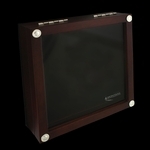 These buckles feature four engraveable ribbons, a colored background, flat wire and ball trim, and the option to include your choice of figure from our catalog, or your own logo. 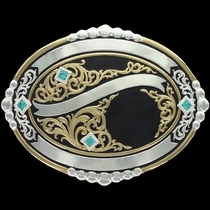 Measuring at 3 1/2" x 2 3/8,” the buckles fit a standard 1 1/2" belt or smaller. 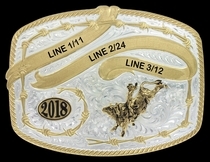 Sample on the left is shown with a black background and “Team Roper” figure #857. 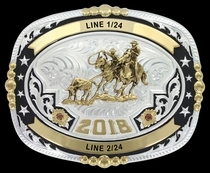 Please allow 4 - 6 weeks shipping for your buckle to be delivered.